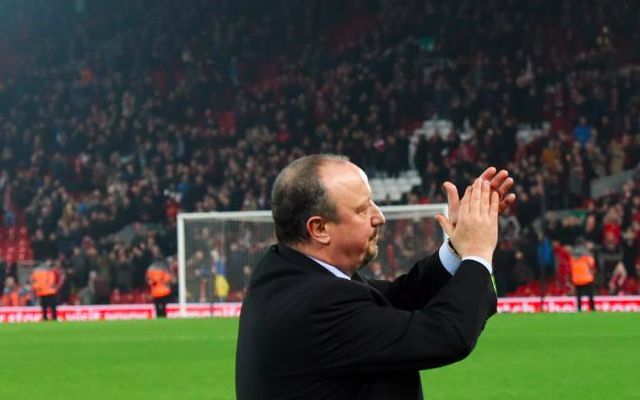 Rafael Benitez admits Newcastle’s gameplan got off to the worst possible start during their shock win over Manchester City on Tuesday night. The Magpies were behind after just 25 seconds after a failure to clear their lines allowed Sergio Aguero to fire home from close range. Pep Guardiola’s men typically controlled the game from then on, although did allow the hosts sightings of goal via the impressive hold up play of Salomon Rondon. It was the Venezuelan that started the comeback on 66 minutes as he volleyed home from within a crowd of bodies. A stunning turnaround was then completed with 10 minutes to go when Matt Richie converted from the penalty spot after Fernandinho had fouled Sean Longstaff. The win now means Liverpool can move seven points clear at the top of the Premier League with a win over Leicester City at Anfield on Wednesday. Discussing his side’s performance, Benitez said: “We had a gameplan – it was not to concede a goal in the first minute,” per the Echo. An unlikely three points further enhanced Benitez’s already-glowing reputation on Merseyside following his success as Liverpool manager between 2004 and 2010. It also served as yet another reminder of how fortunate Newcastle are to have him at the helm as they continue to operate on a limited transfer kitty amid their fight for survival. Whilst the owner may not deserve him, the fans most certainly do.